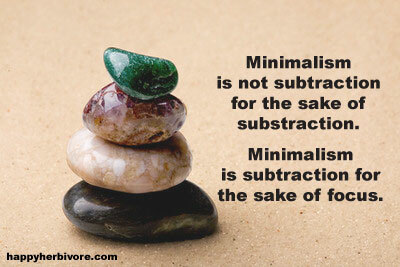 As I mentioned last month, I'm writing three books on minimalism this year. I'm so (so!) excited about this book. I detail my own journey, all my household projects, and how you can tackle everything -- literally everything! including how to properly recycle or donate, and sell your stuff for cash. I also break each project down to small, actionable items. 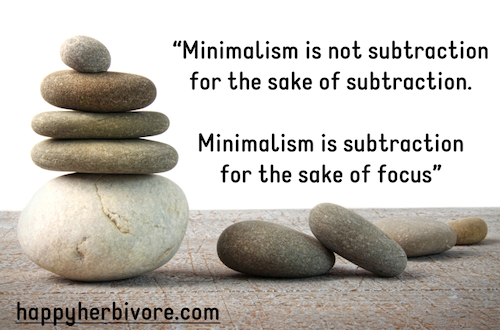 I find most books on minimalism break it down room by room, which I find works better in theory than in practice because most rooms are multiple minimalist projects with differing challenges that require different tackle strategies. Take my kitchen for example, the pantry was it’s own project, before I even could think about the cabinets! Or my bedroom closet, where I wasn’t just dealing with clothes and shoes but also sporting equipment and boxes of mementos and keepsakes. Each of these “issues” required a different approach and could not be done in one big swoop, no matter how much determination I possessed. Many failed New Year's resolutions have also taught me that you’re more likely to reach a big goal if you break it down into smaller ones, tackling it bit by bit. This “bite sized” approach is how I minimized my life and organized my home -- it's what I celebrate in this book. Even if you don't buy my book, promise me that you'll DO something. Even if you just clean off your kitchen table, do something today! Let's declutter our homes and our lives. My (Minimalist) Story -- I get personal! Bills & Expenses -- let's save money! Cleaners & Cleaning -- keep it clean! Plus!! minimalist journeys written by others for added inspiration!